The Case 188 Diesel Engine for 310F Crawler Dozer Operator’s Manual contains detailed operating instructions, maintenance tables and other information for the owner. 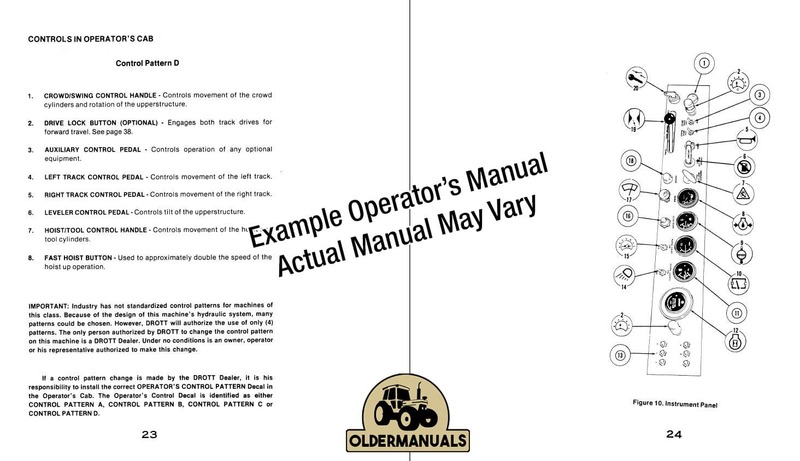 The complete operator’s manual was carefully reproduced from the original and is a must for owners/operators of the Case 188 Diesel Engine used in 310F Crawler Dozers. The Case 188 Diesel Engine for 310F Crawler Dozer Operator’s Manual is also referred to as the owner’s handbook. View the operator’s manual on your computer/tablet or print off pages as needed. After purchasing this manual through our secure checkout, a download link will be sent to the email address you specify. You have up to 90 days to retrieve and save the file to your computer for permanent viewing. Can you provide a printed copy? Sorry, we only offer digital downloads. No printed copy will be included with your purchase, however all digital manuals are printable if you wish to do so yourself. If you have any questions regarding this manual, please contact us and reference the title or SKU. Have questions or a request?